- A period of time which usually involves the good intention of long riverside walks but invariably ends up in nothing but lethargy caused by the above. Sheenie and I live on opposite sides of London, but usually manage to see each other about once a week. Sometimes though, that’s just not enough so every few months we’ll take a couple of days off work and set up camp at one of our houses for three or four solid days of food and films. Sheenie and I may have met through beauty blogging, but our bond definitely stems from our mutual love of food. We are both rather excellent cooks, if I do say so myself, and we delight in taking turns to cook for each other. I live with my boyfriend who is about as far from a foodie as you can get, preferring processed frozen chicken and chips to anything I cook, so it’s always a delight to feed someone who appreciates a home-cooked meal as much as I do. 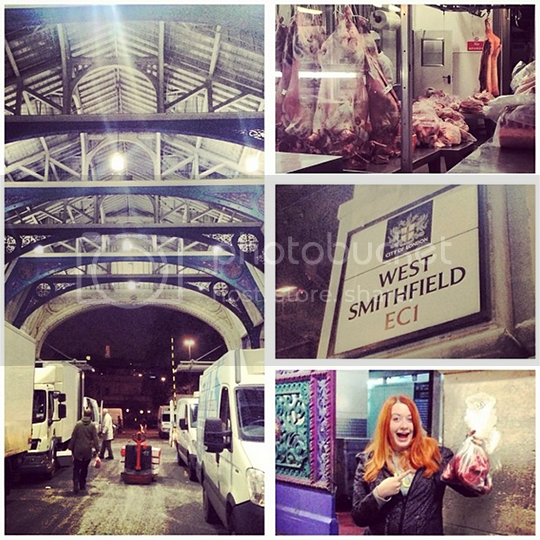 Our most recent Wifey Weekend, which took place last month, started with our traditional 3am trip to Smithfield Market. Smithfield is the primary supplier of meat to any restaurant worth its salt in London and the surrounding areas. I am a big meat eater and nothing delights my palate more than a barely-seared, thoroughly blue piece of steak, or a good bit of pork shoulder, slow cooked and pulled apart in a sweet, sticky homemade barbeque sauce… I digress. So, basically, when I am at Smithfield I am in hog’s heaven (pun 100% intended). Making sure to empty my freezer in the preceeding weeks, we returned to mine from Smithfield at 5am having spent about £70. That £70 got me a freezer completely stuffed with bargain beef, pork, chicken breast, venison and some of my favourite exotic meats like ostrich, zebra and kangaroo. And don’t be fooled by how cheap everything is – the quality of meat is second to none. Plus, there’s the added bonus that a few vendors there supply halal-slaughtered meats, so no need for Sheenie to miss out on the fun. If you’re a meat eater, live in London and have a car, Smithfield is definitely a must-visit. 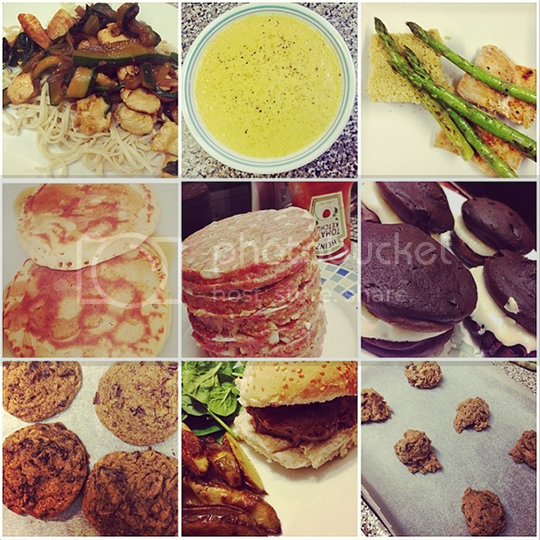 Now, the photos earlier in this post are recycled from previous Wifey Weekends, but this time round the menu included the likes of steak and homemade chips (obviously), croissants stuffed with melted Galaxy chocolate, and tomato and basil linguine with seared salmon. 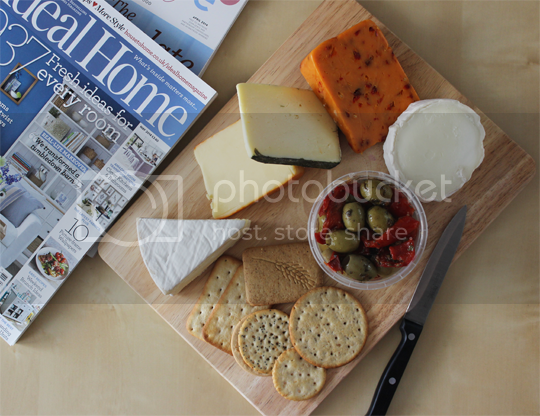 However, my personal highlight of the weekend’s repast was the one thing which required no more effort than a quick visit to the cheese counter in Waitrose across the road. 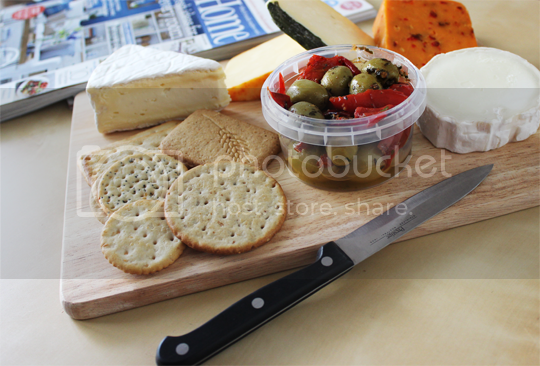 Applewood smoked cheddar, Cornish wild garlic yarg, red pepper and chilli Red Leicester, classic creamy brie and soft goat’s cheese topped a variety of crackers and biscuits and paired beautifully with a selection of olives… all scoffed on the comfort of the sofa while watching Stepbrothers. And not a finger was lifted in the kitchen – perfect. Don’t get me wrong, I love cooking more than I love most things in life but sometimes it’s just blissful to eat something that you didn’t have to slave over. 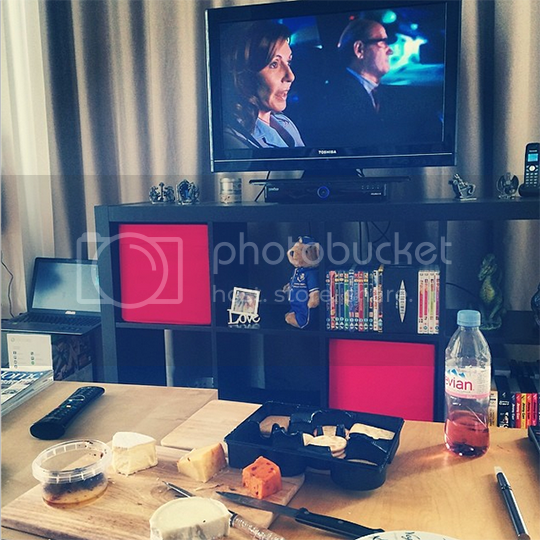 Not gonna lie, reliving the memory of the cheeseboard has left me pretty hungry right now and eagerly anticipating our next Wifey Weekend. Let me know what you think of these more lifestyle-y type posts, I’d like to do more of them!